Year 5 entertained us this morning with their rendition of Living On A Prayer. This entry was posted in Creative Arts, Events, Events 2018-19 on October 19, 2018 by jtibbits2013. Year 4 were investigating levers today by making a balance scale. It was much harder than it looks but, with good team work, they got there! This entry was posted in Design Technology, Events, Events 2018-19, Science on October 19, 2018 by jtibbits2013. 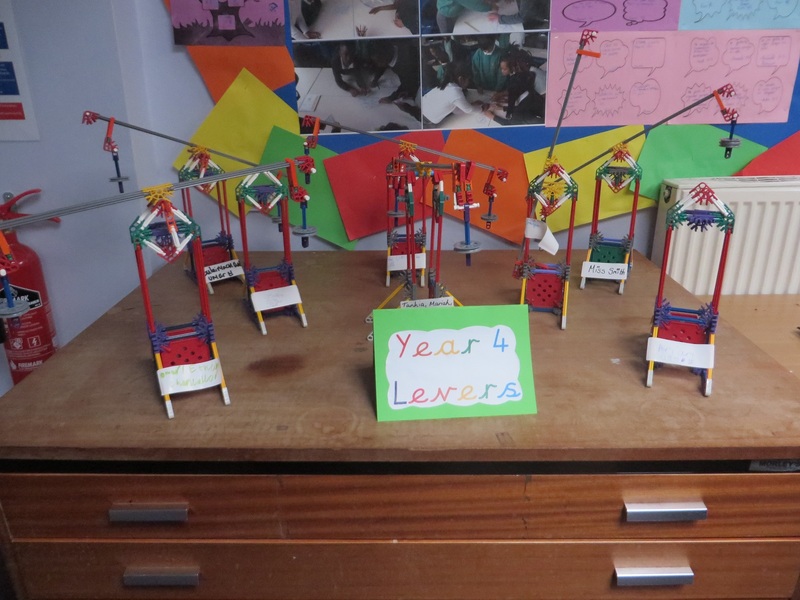 A group of our Year 5 pupils were set a challenge to build a theme park rollercoaster, inspired by Liam’s adventures in Cosmic by Frank Cottrell Boyce. This entry was posted in Creative Arts, Design Technology, Events, Events 2018-19, Reading, Science on October 18, 2018 by jtibbits2013. A dragon at St Vincent’s! This entry was posted in Events, Events 2018-19, Science on October 11, 2018 by admin. Well done to our girls’ football team who played at the Caritas Christi Inaugural Girls Football Tournament at St Paul’s this week. A great afternoon with over 50 girls playing and our team finished as overall winners. This entry was posted in Events, Events 2018-19, Sports on October 11, 2018 by admin. What great poetry performances! More coming soon…. This entry was posted in Creative Arts, Events, Events 2018-19, Reading, Show Me What You Know on October 5, 2018 by admin.